Car brand MINI has relaunched its visual identity, unveiled a new version of the MINI Clubman estate and embraced the “sharing economy” by offering every customer the chance to rent their vehicle to others when they don’t need it (+ slideshow). At a launch event in Berlin today the brand unveiled a new, minimal logo and announced that all MINI owners will be able to pool their car via the DriveNow car-sharing programme. With backing from Atari’s cofounder, an engineer-navigator brought high-tech driving directions to cars—during the Reagan Administration. Thirty years ago, a company called Etak released the first commercially available computerized navigation system for automobiles. Spearheaded by an engineer named Stan Honey and bankrolled by Nolan Bushnell, the cofounder of Atari, the company’s Navigator was so far ahead of its time that the phrase “ahead of its time” seems like an understatement. Musk has good reason to want to reassure mainland drivers. 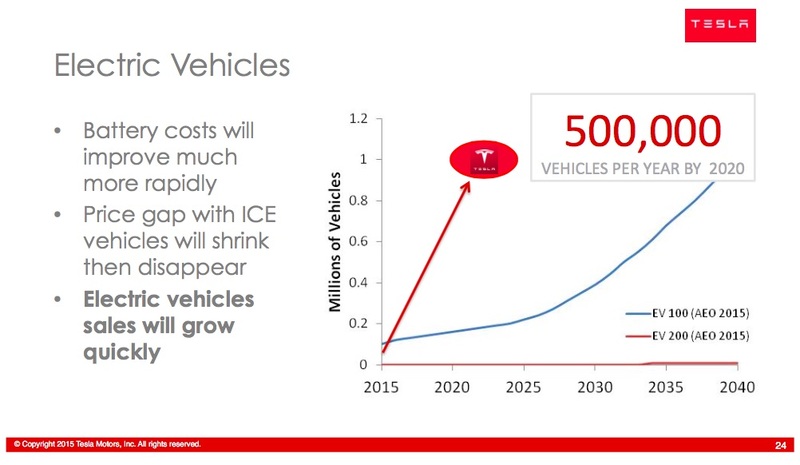 Tesla has big ambitions in the world’s biggest auto market. Doing well here would help the company reach its target of delivering 55,000 vehicles globally in 2015. Musk enjoys rock star adulation in the Chinese press, and there’s no shortage of wealthy consumers who can shell out the $100,000-plus needed to buy a Model S on the mainland. However, the luxury electric vehicle maker has had what Musk calls “unexpectedly weak” sales since its launch in the country in April 2014, and worries about running out of juice on longer trips appear to be one reason. China is known for its epic traffic jams, and analysts say “range anxiety” is a challenge for alternative-energy carmakers given the still-developing network of government-mandated charging stations. Should a Driverless Car Decide Who Lives or Dies? The gearheads in Detroit, Tokyo and Stuttgart have mostly figured out how to build driverless vehicles. Even the Google guys seem to have solved the riddle. Now comes the hard part: deciding whether these machines should have power over who lives or dies in an accident. The industry is promising a glittering future of autonomous vehicles moving in harmony like schools of fish. That can’t happen, however, until carmakers answer the kinds of thorny philosophical questions explored in science fiction since Isaac Asimov wrote his robot series last century. For example, should an autonomous vehicle sacrifice its occupant by swerving off a cliff to avoid killing a school bus full of children? Auto executives, finding themselves in unfamiliar territory, have enlisted ethicists and philosophers to help them navigate the shades of gray. Ford, General Motors, Audi, Renault and Toyota are all beating a path to Stanford University’s Center for Automotive Research, which is programming cars to make ethical decisions and see what happens. Mini is boxing up the scented candles, putting the caps back on the massage oils, and returning the Keith Sweat records to the closet. While other automakers continue to procreate new models almost weekly, the BMW-owned brand took a rare vow of chastity and moved to cut three cars from its lineup. Mini will now focus on only five remaining models. Model death flies in the face of the prevailing trend in carmaking, which is to flood the market with as many different cars as you can build. Look no further than Mini’s parent company to see this in action. Twenty years ago, BWM sold four types of car: the 3-, 5-, 6-, and 7-series. Today, BMW has models for every number from one to seven and two entries in its i-Series. Hales, like many mayors in America, could probably guess why Plouffe was trying to reach him. Uber’s made a name for itself by barging into cities and forcing politicians to respond. It started in 2010, providing swanky rides at the tap of an app in San Francisco. “I pushed a button, and a car showed up, and now I’m a pimp,” Chief Executive Officer Travis Kalanick said four years ago. The company has since expanded to take on lower-cost taxi service in more than 300 cities across six continents, ballooning to a $40 billion valuation. At the time of Plouffe’s call, Uber already operated in several Portland suburbs, and over the previous few months Hales’s staff had asked the company to please hold off on a Portland launch until the city could update taxi regulations. Plouffe may be a big name, but Hales didn’t immediately call him back. The renewable-energy boom is here. Trillions of dollars will be invested over the next 25 years, driving some of the most profound changes yet in how humans get their electricity. That’s according to a new forecast by Bloomberg New Energy Finance that plots out global power markets to 20401. Plug-in electric vehicles (PEVs) have the potential to dramatically drive down consumption of carbon-based fuels and reduce greenhouse gas emissions, but the relatively high price of these vehicles—due in large part to the cost of batteries—has presented a major impediment to widespread market penetration. Researchers at the Energy Department’s National Renewable Energy Laboratory (NREL) are playing a crucial role in identifying battery second use (B2U) strategies capable of offsetting vehicle expenses while improving utility grid stability. 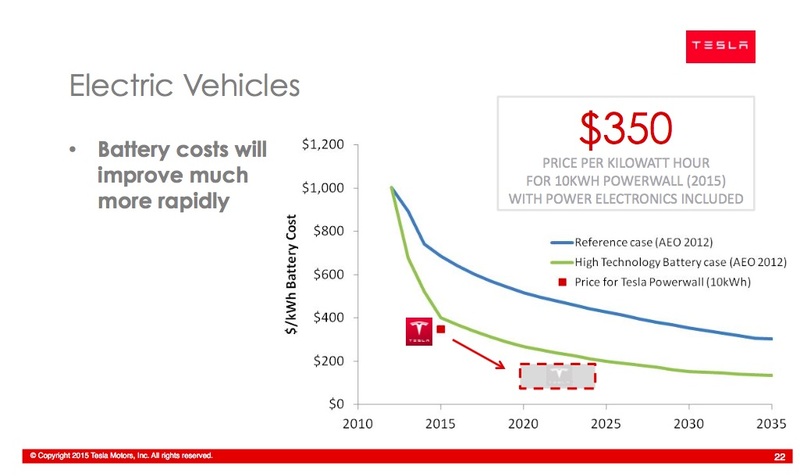 Lithium-ion (Li-ion) batteries, the energy storage technology of choice for PEVs, are typically the most expensive components in those vehicles, and their disposal presents environmental challenges. 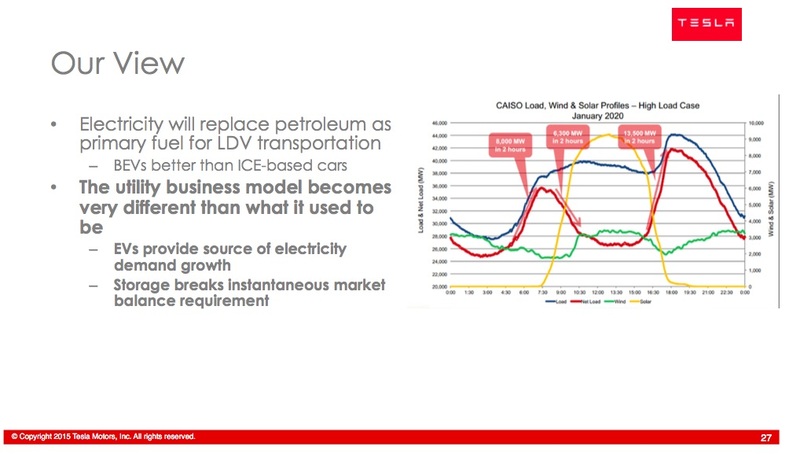 Second-use options support a broad spectrum of sustainable energy strategies, as they increase the potential for widespread PEV adoption by eliminating end-of-life automotive service costs, in addition to helping utilities support peak electricity demands while building a cleaner, more flexible electricity grid. NREL research confirms that after being used to power a car, a Li-ion battery retains approximately 70% of its initial capacity—making its reuse a valuable energy storage option for electric utilities, before battery materials are recycled. The pilot program will be in six U.S. cities and in London. Customers who finance their vehicle through Ford Motor Credit will be able to rent out their car, SUV or truck. The program is being run by Getaround, a San Francisco-based start-up that will oversee the car-share app customers will use to rent vehicles. I think we have to separate true luxury from what we broadly refer to as “luxury brands,” including Acura, Infiniti, Cadillac, and Lexus. Even BMW and Mercedes no longer fit in the first category. When people are paying $800 a month for a Tahoe LTZ and $350 a month for a Mercedes or BMW 3-series, which one is luxury? My favorite definition of luxury is the presence, in the product or service, of way more than you’ll ever need. It’s excessive capability, be it in size, style, performance, or features. That’s why a $60,000, crew-cab, turbodiesel 4×4 pickup with a leather and wood interior qualifies as much as a Porsche. But true luxury brands have to be expensive and relatively exclusive. I’ve always marveled at the battle between Mercedes and BMW (with Lexus as an also-ran) to be the top U.S. luxury brand. To me, it’s antithetical to be simultaneously exclusive and the most popular. What began as one of ten “moonshot ” projects for the company is now proceeding steadily as Google intends to test prototype models of its self-driving vehicles on public roads this summer, claiming its computerized cars are actually safer than those steered by humans. These new vehicles come equipped with standard automated additions, such as cruise control and parking assist, pushing the boundaries of machine control even further. The plan is to eventually deliver a car that can automatically drive from origin point to destination without any human intervention at all. Google’s fleet of automated cars have already amassed more than 1.7 million miles on the road – while experiencing a mere dozen accidents. None of the accidents caused any fatalities, and Google maintains that incidences were caused by fallible humans rather than the driverless vehicles themselves. With this remarkable record backing them, Google will now move forward to test cars that it has built in-house rather turning to traditional model manufacturers such as Lexus to house the software. 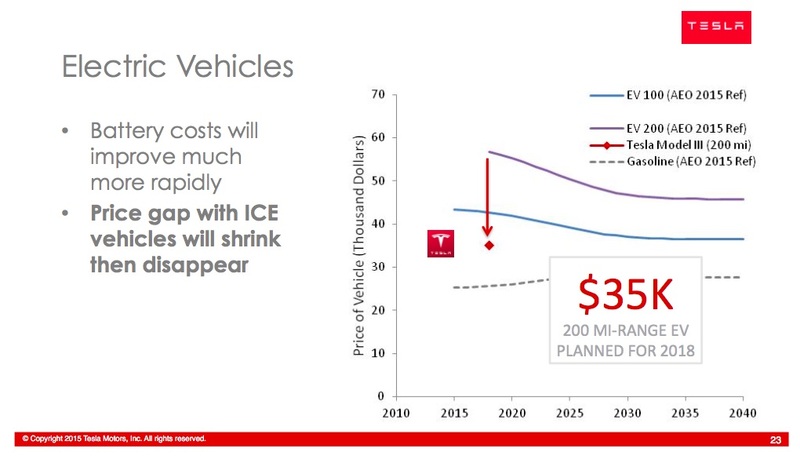 View Tesla CTO JB Straubel’s complete presentation here (24MB PDF). Uber is the technology platform which connects riders and drivers around the world. They process as many rides in China as the rest of the world combined. Like many technology companies they regularly update their ‘app’ for both riders and drivers — to add new features (like splitting a fare with someone else, add a new kind of service like grocery — or kitten — delivery, improve geolocation services). The DeBlasio administration in New York City, through its Taxi and Limousine Commission, had planned to require that Uber (and Lyft, and other similar services) receive regulatory approve in advance each time they wanted to update their app. For this report, Moody’s analyzed the covenant packages of 46 high-yield bonds issued by 24 North American automotive companies between January 2011 and February 2015. The rating agency measures bond covenant quality on a five-point scale, with 1.0 indicating the strongest investor protections and 5.0, the weakest. Aside from pockets of regional uncertainty, demand for vehicles continues to grow in North America and Asia, while macroeconomic conditions in Europe are stabilizing, Harrod says in “North American Automotive Bond Covenant Protection Remains Weak.” Despite relatively steady sales growth, leverage among auto suppliers remains lower than it was before the 2008-09 recession. Debt/EBTIDA for North American auto suppliers stood at about 3.3 times at the end of 2014, for example, supporting issuance of bonds with weaker-than-average investor protections. Three thoughts here. First, there is huge potential upside. With high penetration rates, research suggests, driverless technology could save 22,000 lives a year and $450 billion annually. Second, one could also see a “bootleggers and Baptists” scenario develop with public-minded interest groups (maybe robo-apocalypse worriers or “for the children” types) allying with cronyists or rent seekers (this massively disruptive a technology is going to make some incumbent somewhere unhappy) to bring down the heavy hand of government regulation. California’s labor commissioner said a driver who connects with customers through the Uber Technologies Inc. app must be considered an employee, a decision that strikes at the heart of its business model. San Francisco-based Uber, like other “sharing economy” startups, has built a business around a flexible car fleet piloted by people it contends are independent contractors. If upheld, the decision might require the company to provide health insurance and guarantee a minimum wage — neither of which is required for contractors. “We see this as a problem that’s growing larger with each year, with employees lacking security and even basic rights when they are treated as independent contractors,” said Steve Smith, spokesman for the California Labor Federation, which has backed tougher regulations on ridesharing companies. Will Your Self Driving Car be Programmed to Kill You? Fear of running out of battery has not held back the smartphone market. But it has crippled electric cars. Now, however, some carmakers are increasingly confident that their electric vehicles are close to overcoming the dreaded “range anxiety”. “Batteries are moving forward very, very quickly,” says Vincent Carré, electric car sales and marketing director for Renault, whose electric models include the Zoe compact vehicle, which has a range of about 120 miles. This implies an average Renault range of more 200 miles — the point at which it is generally accepted that electric vehicles become a viable mass market proposition. For the last month now, Chattanooga Police Officer Rob Simmons has been biking around town with a new, unique ultrasonic sensor to make sure that drivers are obeying the state’s three-foot buffer law. The law, which took effect in 2007, requires that when motorists pass a bike, they’re supposed to allow that much distance. But enforcing this law using only human eyes is pretty much pointless—it would be like trying to enforce speed laws without a radar gun. Tennessee is one of 24 states nationwide to enact such a law, but no other states have enforced the law using a device like this. Simmons rides with the brand-new Bicyclist and Safe Monitoring Applied Radar Technology (BSMART), a handlebar-mounted device that uses an ultrasonic sensor to calculate the distance between the bike and a passing car. Then it displays how far away the nearest edge of the car was to the bike in inches. Baidu – the search engine and technology company often called China’s Google –plans to release a self-driving car with BMW by the end of the year. The Chinese firm has been working on autonomous vehicles for the past couple of years, recently partnering with car makers including BMW. The two companies announced a self-driving research project in April 2014, driving test cars around the complex highways of Beijing and Shanghai. As an encore to achieving that feat last year, a group of engineering students spent the last year building a brand new BYU Supermileage vehicle that’s lighter, smoother and more efficient. Thanks to the improvements, the new car has achieved an all-time best for BYU: 1,716 miles per gallon—or roughly the distance between Provo and Cabo, Mexico. “Our goal is to one day break the 2,000 miles to the gallon barrier, which is about 100 times more than the typical car achieves,” said student Cory Newton. Part of BYU’s motivation to achieve seemingly impossible results comes from a narrow miss in 2013. The group of students from that Capstone team achieved the highest miles per gallon in a national competition (1,331), but took 2nd place overall because of design technicalities. Gordon Murray is a bit of a legend. As a young man he left his native South Africa for the UK, intent on designing and building Formula 1 cars. He did this in an era unrecognizable to the F1 fan of today. Budgets were tiny—the entire sport could have survived on the annual budget for even the least-well funded team in 2015. Despite, or perhaps because of, these limited resources, his ingenuity shone through, and many revolutionary designs issued forth from his pen. Post-F1 Murray has been using that ingenuity to rethink the way road cars are designed, something that a very lucky few have experienced behind the wheel of a Light Car Company Rocket or McLaren F1. That may be about to change thanks to the resurrection of sports car company TVR. Founded in 1947, TVR—an abbreviation of founder Trevor Wilkinson’s first name—was a low-volume manufacturer of hairy-chested sports cars built in Blackpool, England. The company went through a number of different owners, building up a cult following thanks to its adherence to a formula of lightweight sports cars with rather wild styling, plenty of horsepower, and a charming lack of modern safety features like ABS, airbags, traction control, and so on. General Motors’ joyride with the feds might finally be coming to a screeching halt and a rough ride about to begin. The New York Times reported recently that the Justice Department is gearing up to slap a record, billion-dollar-plus fine on the company for criminal wrongdoing in connection with the Chevy Cobalt’s defective ignition switch. The defect has been linked to at least 104 deaths. But if similarly massive fines against Toyota for its suddenly accelerating cars are any indication, GM’s penalty might prove to be less of a bonanza for GM drivers and victims than for the Justice Department itself. The average length of loans for new and used vehicles in the United States in the first quarter hit record highs, and nearly 30 percent of new-vehicle loans have pay-back periods longer than six years, Experian Automotive said in a report issued on Monday. The average term for a first-quarter new-vehicle loan was 67 months and for used vehicles, 62 months, Experian said. Experian found that in the first quarter, 29.5 percent of new-vehicle loans in the U.S. had a term of 73 months to 84 months. Experian has been tracking the length of auto loans since 2006.